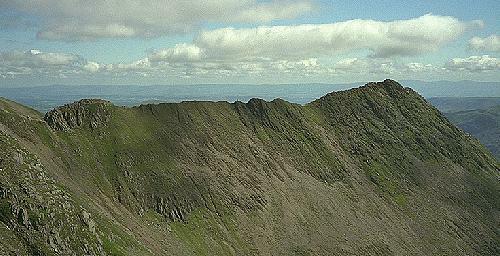 Striding Edge is imposing from all directions, but none more so than this. It is remarkable to see it with no-one on it on a sunny July morning. I've left it alone for years, but this view is enough to lure me back in the near future. Cross Fell is visible on the horizon just to the right of the arete.